The Maritime Safety Authority of Fiji (MSAF) will continue to support gender equity in the Maritime Industry. Chief Executive Officer, John Tunidau echoed this comment as he expressed support for Ms Mavis Joseph-Logavatu, MSAF’s Legal Risks & Audit Officer, as the chairperson for Pacific Women in Maritime Association (PacWIMA). The five day Conference was organized by the International Maritime Organization (IMO) and the Pacific Community (SPC) and hosted by Tonga and attended by representatives from Cook Islands, Federated States of Micronesia, Fiji, Kiribati, Nauru, Niue, Palau, Papua New Guinea, Samoa, Solomon Islands, Timor-Leste, Tonga, Tuvalu, and Vanuatu, World Maritime University (WMU) and observers from Tongan administrations, the Tonga Maritime Training Institute, Port Authority of Tonga and private sector organizations. Ms Joseph-Logavatu, who has received various training and at IMO IMLI and attaining the Masters in Maritime Law, thanked MSAF for its continued support during this endeavour. 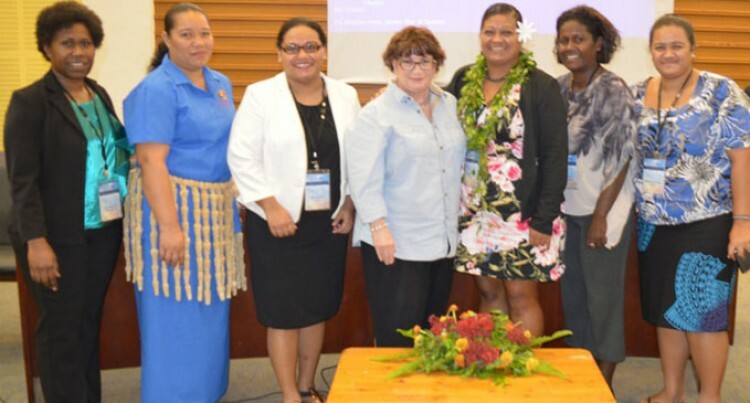 Participants at the conference shared their experiences and identified areas for development relating to women in leadership roles, mentoring and coaching, the economic value women add, gender, energy, climate change, women seafarer, the Maritime Labour Convention and PacWIMA. Within the Pacific region, PNG had already established PNG WIMA in 2007 and Fiji officially launched Fiji WIMA on the 28th September 2016. Solomon Islands, Tonga and Cook Islands are currently working on establishing their State WIMA’s with PacWIMA and SPC providing the requisite support.